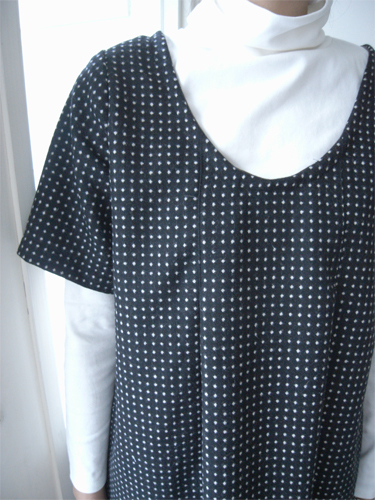 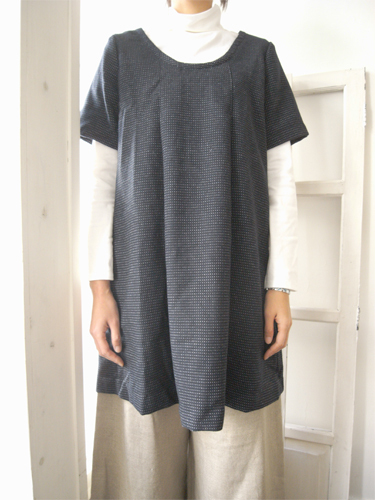 Simple tunic with double pleats，which you can make easily. 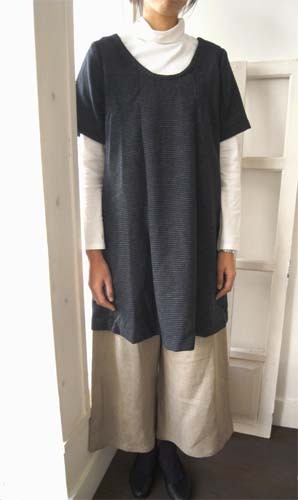 Made with woolen fabric in winter, linen in summer, it works excellently for your layered style. 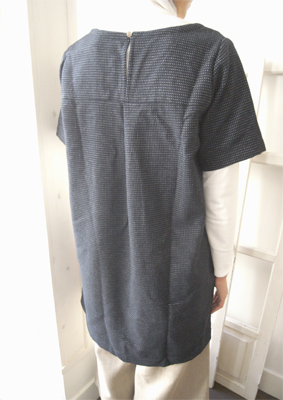 You can be relaxed in every position, although the design gives a slender look.